If you own a house in a relatively new neighborhood, chances are good you pay Mello-Roos taxes. Those are additional property taxes intended to pay for specific capital projects, like schools and roads. San Diego County property owners have paid almost $1 billion since 2011 in Mello-Roos taxes, and not all are created equal. Homeowners in the same neighborhood can pay vastly different amounts. Some people may pay into one Mello-Roos district; others pay into as many as seven separate districts. There are 246 districts, called Community Facilities Districts, in the county that collect Mello-Roos taxes. 57,157 properties pay taxes in more than one district; 4,519 pay into as many as six, including 11 that pay into seven. San Marcos has 92 distinct Mello-Roos districts, more than any other city in the county. Chula Vista is another hotbed for Mello-Roos, with 56 individual districts, many of those east of Interstate 805. The district charging the highest average Mello-Roos tax is in Carlsbad. 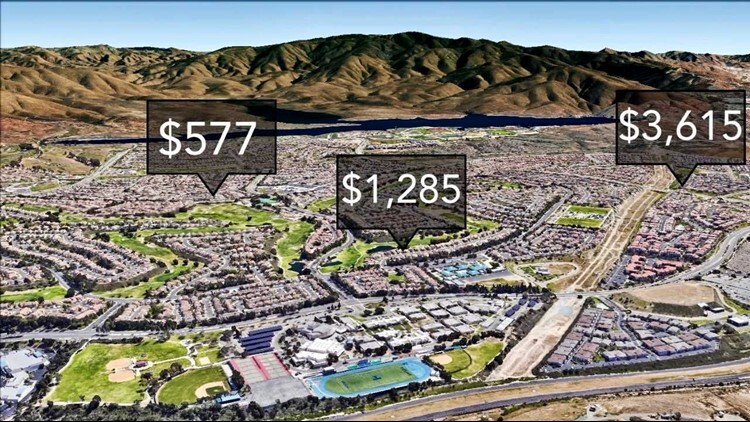 It charged an average of $66,633 per property, although that district only had 16 particularly large parcels. The district with the lowest average was also in Carlsbad, part of the Carlsbad Unified School District. It charged an average of $23.84. Property owners paying into six districts paid an average of $2,914. Mello-Roos taxes were created in 1982 in a response to the tax revolt of the late 1970s that culminated in the passage of Proposition 13, which capped property tax rates and, as a result, slashed government budgets. The new tax, named after two state legislators who authored the law, fueled a continuation of the building boom of the 1970s and 1980s. In San Diego County, Mello-Roos money has been pledged toward middle and high schools in eastern Chula Vista, park maintenance in San Marcos and a new city hall complex in Carlsbad. Some taxpayer advocates think Mello-Roos, an arcane and often little understood tax law, should be on the front burner for discussion. “After nearly 40 years, it’s time for the legislature to come back and re-address how parcel taxes and Mello-Roos taxes work,” said Rob Gutierrez, director of state and local finance for the California Taxpayers Association. Gutierrez’s concerns include the lack of accountability in Mello-Roos. The taxes are sometimes managed by small school districts or cities, rather than by a county tax assessor. Some Mello-Roos agencies are passed off to outside contractors. And unlike bond measures or traditional property taxes, there are no audit requirements for Mello Roos money. “There is far less oversight and transparency for Mello-Roos taxes,” Gutierrez said. Today, roughly one in 10 properties in the county pays into at least one community facility district, the official name for Mello-Roos tax areas. That means 104,135 properties in the county pay Mello-Roos. Some homebuyers don’t realize Mello-Roos is a separate tax. 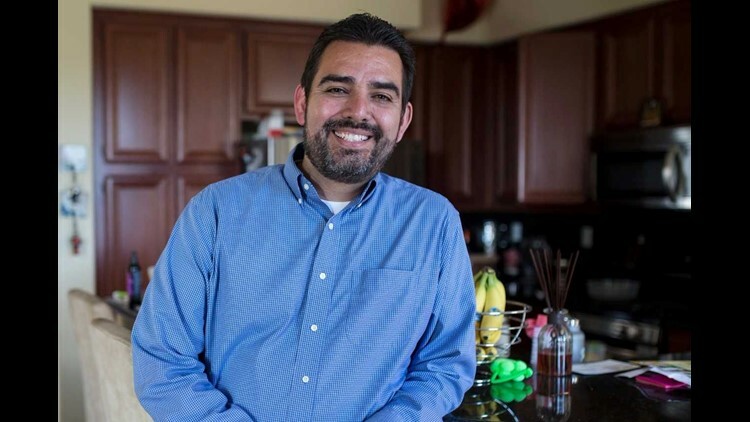 Edgar Guerrero, a military contractor and Navy veteran, was one of those people when he bought a home in the eastern Chula Vista neighborhood of San Miguel Ranch in 2010. He started researching the details of his tax bill in 2012 when he heard concerns about the way the Sweetwater Union High School District planned to spend some Mello-Roos money. He found, however, that limited auditing and reporting requirements can make it challenging for homeowners to track MelloRoos spending. Most of Guerrero’s Mello-Roos education came from the internet and from a handful of community members who were already involved in school finance issues at Sweetwater. Understanding Mello-Roos was harder, he said, than learning how to fly the helicopters he flew in the Navy. “At least with aviation and learning how to fly planes and helicopters there’s a book and there’s structure and there are teachers … so you’re never lost,” he said. Guerrero, a member of the citizens bond oversight committee at Sweetwater, has called for more accountability with the district’s Mello-Roos money. A developer who wants to build housing submits paperwork to form a community facilities district. Voters who own land in the prospective development vote to pay Mello-Roos taxes to fund roads, community buildings and schools. Because no one yet lives in the area, the developer is usually the only one to vote. So taxes are often established by a vote of one person. Gutierrez, of the taxpayers’ association, said Mello-Roos tax rates can’t be set based on a percent of a property’s value, the way normal taxes are. That has led to some creative taxation. He said he found one Mello-Roos district in Santa Barbara that taxed property owners for the number of bedrooms in a house. That can be difficult to determine in a college town. “So you’ve got this property next to a college, (University of California, Santa Barbara), and, you know, where do college kids sleep on the property? Probably anywhere,” he said. The district, in the Santa Barbara neighborhood of Isla Vista, changed its assessment in 2013-14 to charge $93.30 for every “room available for sleeping” within a home, according to Gutierrez’ research. If you’re wondering about the area surrounding the major universities in San Diego County, there are no Mello-Roos districts near San Diego State University, University of California San Diego or the University of San Diego. California State University San Marcos has several nearby Mello-Roos properties. More commonly, Mello-Roos taxes are based on square footage or the property type, such as an apartment or senior housing. inewsource first looked into Mello-Roos taxes in 2012 and 2013, focusing on the Poway Unified School District. That investigation uncovered questionable spending of special taxes by the school administration, such as renovations at the district offices and upgrades at non-Mello-Roos schools. inewsource also found that several homeowners were overbilled because of changes or inaccuracies in county records. One homeowner in the city of San Diego told inewsource he was being overcharged $6,300. The city offered refunds to residents who were overcharged and corrected bills of those underpaying. Over the next several weeks and months inewsource will dive into the data and stories surrounding MelloRoos. We’re looking into why this tax ballooned into a system where homeowners pay into as many as a half-dozen special tax districts. We’ll also look into how agencies charged with stewarding this money have actually spent it, and we’ll highlight limitations and contradictions with the oversight of these taxes. To do all this, we need your help. We can’t look into every single Mello-Roos district in the county, so we want to hear from you about questions or concerns at melloroos@inewsource.org, or find us on Facebook or Twitter.